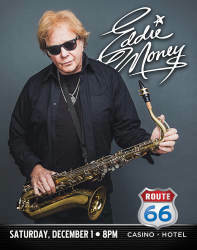 In 1968, after serving as a New York City Police Officer for two years, Money put his law enforcement career on hold to pursue music. He moved to Berkeley, California and began performing at local clubs. Then, in 1976, after changing his surname from Mahoney to Money, Eddie’s fate changed when he was introduced to legendary promoter Bill Graham while performing at one of Graham’s events. The two quickly became close, with Graham serving as both a mentor and manager to Money. 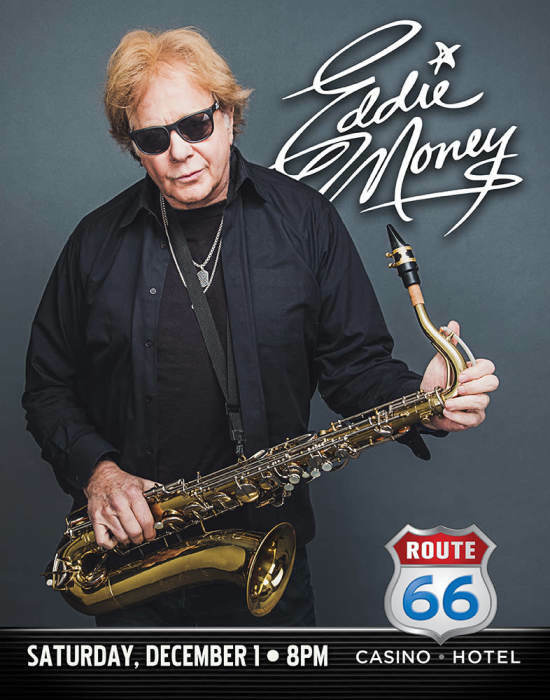 Said Graham of Money, "Eddie Money has it all…not only can he sing, write and play, but he is a natural performer." After signing a recording contract with Columbia Records, Money burst onto the scene with his eponymous debut album in 1977. Fans immediately fell in love with Money’s sound, and the album, which went double platinum, featured hits like "Baby Hold On" and "Two Tickets to Paradise." Money followed the success of his debut album with a stream of Top 40 hits, as well as some of the era’s most creative videos for songs like "Think I’m in Love" and "Shakin." In 1986, Money released Can’t Hold Back, which featured the classic, Grammy-Nominated duet with Ronnie Spector, "Take Me Home Tonight." The song reached number 4 on the Billboard Hot 100. The album went platinum and also featured the hit "I Wanna Go Back." AXS TV, the premier destination for classic rock programming, is airing a new 10-episode reality series, "Real Money", following the daily lives of Money and his family. The series will include candid moments with Money as he deals with the struggles and joys of life at home with his wife, eight pets, and five wild and talented children. The series is as honest and open as it is heartfelt and hilarious, capturing every moment of the family’s unique dynamic as they live, laugh, bicker, and rock under one roof.